1 How does a PLB work and how is it different to an EPIRB? Personal Locator Beacons are the most important emergency piece of gear you can carry whenever you’re going off-grid or anywhere that you can’t immediately get in contact with someone for help. 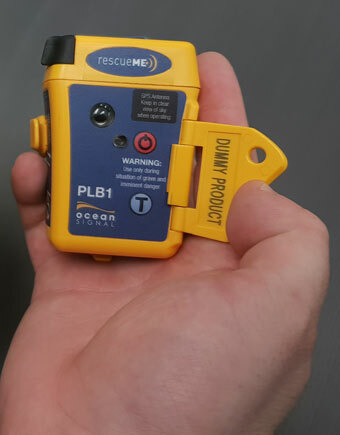 If you do a lot of hiking, adventuring or anything off map you’ve likely heard of the Ocean Signal RescueMe PLB1 and GME MT410G Personal Locator Beacons before. 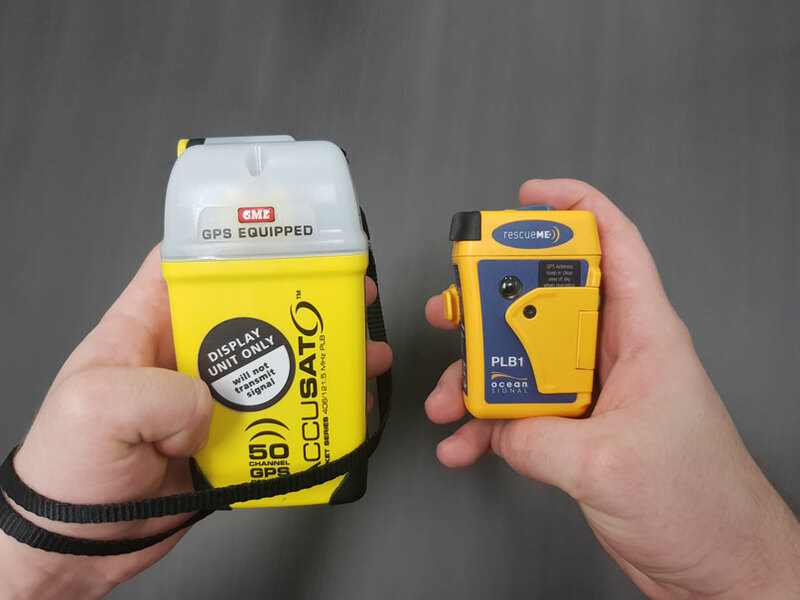 We’re going to take a look at two of Australia’s top brands for PLB (Personal Locator Beacon) devices to find out what they do best and which one suits you best. How does a PLB work and how is it different to an EPIRB? If you want a more in-depth look at how PLB’s work and how they work differently to EPRIB units try our article here. In short, though, PLB’s still work much the same way as EPIRB's. They send out a signal which is picked up by COSPAS-SARSAT satellites. The Satellite then transmits your location information to a local station who will check the specific signal identifier. They will then review your personal details provided and attempt to contact you first and failing to do so they will then authorise a rescue attempt. 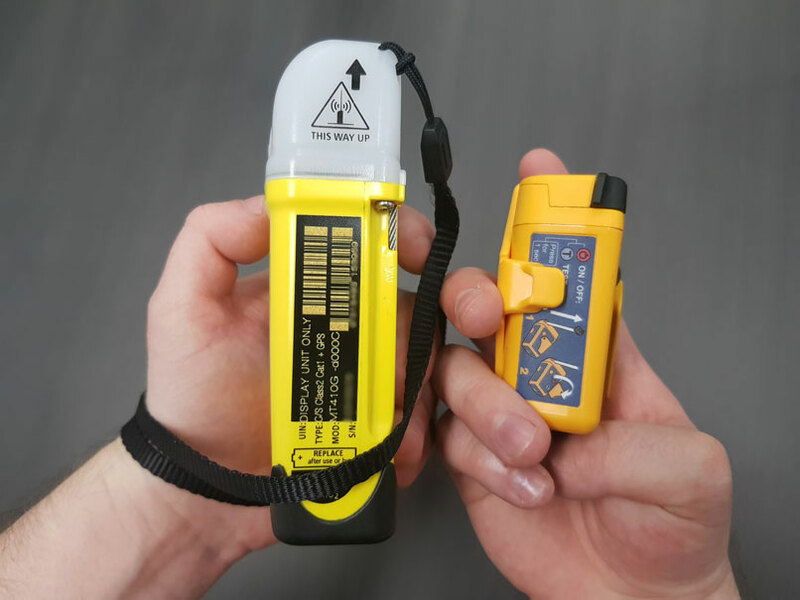 The PLB unlike most EPIRB’s can only be activated manually so it is important to carry it on your person or in a place as accessible as possible. PLB’s are also different to other emergency communicators you may have heard about like Garmin’s InReach Explorer/SE+ units or even SPOT messengers. These units can send out an SOS signal but also have the ability to act as a two-way communication device. It is important to note that these are devices do not need to adhere to some of the strict guidelines on all PLB units as they are not considered the same thing. This means these units do not have the same battery time requirements, operating temperature or lifetime battery requirements. Just as a caveat here before we go further it is important to remember that these rescues can cost anywhere between $1000-$100,000+ depending on your location, presumed status and other relevant factors. The emergency button should only ever be pushed in an actual emergency. 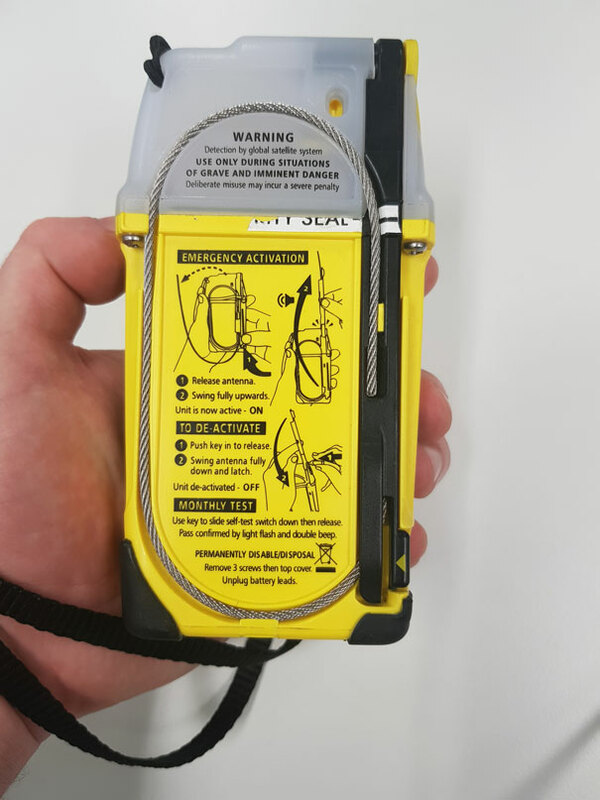 The GME MT410G PLB comes with the beacon itself, a wrist/neck strap and a protective carry pouch with multidirectional belt loops. The Ocean Signal RescueMe PLB1 comes with a floatation pouch, belt loop and small string straps. There is obviously a weight difference between the two units the MT410G weighs 250g, and the RescueMe PLB1 weighs just 116g. Both units come with belt loops to allow them to be clipped on to any number of tethers you have available. Both units operate on a 406.040MHz frequency (For Satellite Reception) and then on the lesser range homing beacon signal 121.5MHz that helps close range Search Parties pinpoint you. This is important the location data sent by these devices will give your location accurate to within 100m, which is still quite a lot but then allows the homing beacon to give a closer estimate of your location. Both PLB’s come with an audible alert and light signal. The units are completely waterproof, and batteries for the unit are non-user replaceable. This is mostly in part as both companies take their products very seriously and do not want to allow any outside interference to their products that may affect the products integrity or ability to send out a signal. 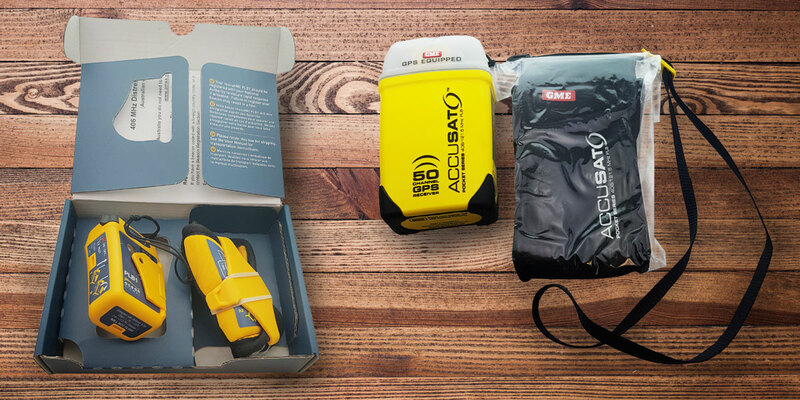 The RescueMe PLB1 does not float by itself, if you’re out kayaking, packrafting, boating or any water activity you should have it in its floatation device to make sure it doesn’t sink away from you should the worst happen. The MT410G is buoyant by itself and will float in fresh and salt water. Regarding the other main features of the PLB units like battery life (7 years) and battery duration (>24 hours)when active both units have the same performance. Each of the units has a different method of activation. The GME MT410G has a latch antenna that automatically activates the beacon when you bring the antenna 180 degrees upwards, the antenna will click into place. At that point, the PLB is now active and will ‘beep’ and pulse. It will emit a rapid series of ‘beeps’ and light flashes for 6 seconds, indicating to the user that it has acquired a GPS position fix and is relaying this position along with the distress signal and the unique personal identifier to the COSPAS-SARSAT satellite system. The PLB1 requires you to first pull the antenna on the top left all the way out then press the ON button underneath the front flap until the GREEN LED flashes. 3 rapid Green flashes will indicate the PLB1 has a Satellite fix. The MT410G has a 60-second delay should you ever accidentally activate the SOS function. To deactivate, use the key (at the end of the lanyard) depress the antenna latch (top right on the side). Then swing the antenna back down and latch onto the unit. Re-wrap antenna around the groove on the units back. Both of these units are excellent products, and I wouldn’t hesitate to recommend either to anyone looking for an effective PLB. However, in my opinion, the best option is the Ocean Signal RescueMe PLB1 as it is smaller and more lightweight. Which when you’re carrying a heavy pack every gram less can make a difference. Finally, there is the activation sequence just from practised use on some of the demo models available in stores I find myself a little wary of the MT410G antenna getting caught in a pack and pulling open. This is a relatively minor inconvenience though as PLB’s should always be packed in a secure but accessible manner or even tethered to your person. Registering you beacon will speed up the rescue authorities attempt to rescue you, providing valuable information to help identify you and contact people who might aid in identification. It is critical to ensure your registration details are accurate. It is a requirement by law for PLB units in Australia and NZ to be buoyant, you can physically remove the pouch from the PLB1 however this will likely make the device non-compliant as a PLB and it not recommended. To test the unit, use the key (attached to the lanyard) to slide the self-test switch down and then release. A double beep and flash will indicate the PLB is still functioning correctly. The RescueMe PLB1 activates when you open the spring-loaded flap and press the power button. To activate the unit first pull the antenna tab all the way out. Then open the flap and press the ON key for one second until a green light starts flashing then release the key. The device LED will flash once every 5 seconds while the GPS is turned on and obtaining a fix. Once the fix is obtained the GREEN LED will flash quickly 3 times. From that point, the LED will flash each time a 406Mhz transmission is made. It will flash GREEN quickly five times for a transmission with a GPS position and 5 times RED for transmission without a GPS Position. *The RescueMe PLB1 has a 50-second delay – So if you ever accidentally activate the SOS function you can disable it by pressing the ON key again for one second until the indicator LED flashes red twice, then release. Rewind the antenna back into the unit. Like the GME MT410G, you can test the PLB to make sure it’s still working. To begin the test pull the antenna all the way out and press the TEST key which is underneath the flap and next to the ON key. After this, the strobe light will flash once and the indicator LED will flash to show the pass or fail status. *Note because the test transmits a short burst on the aircraft distress frequency of 121.5MHz please only carry out this test in the first five minutes of each hour. *The amber light test indicator shows if the battery has been used for over an hour or the allowed number of tests has been exceeded. The PLB will still operate normally in distress, but the battery should be replaced to ensure the full operating life when your PLB is needed.